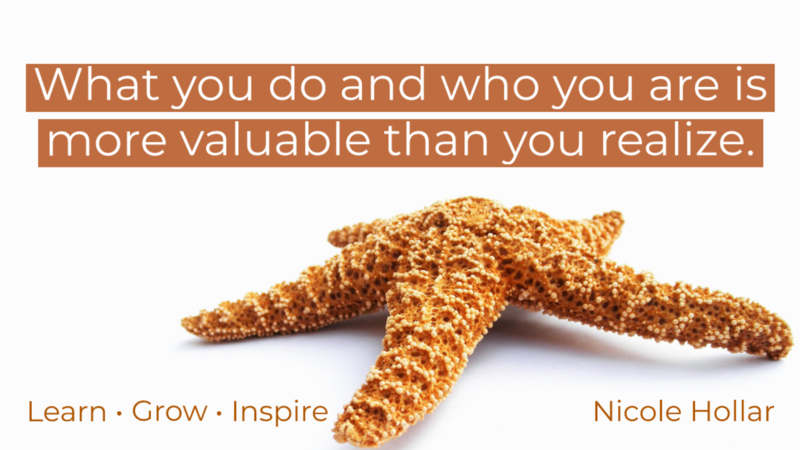 Are you showing up as the authentic you? I’ve been writing weekly blog posts for a long time, and creating various motivational memes as well to accompany those posts or to stand alone. You might receive them in your inbox, read them on my website or on Thrive Global where I am a contributor, or maybe on one of the many social media platforms we have these days. It’s not enough to want to lift and inspire those around us anymore; it’s about posting and clicking and sharing and so on. Frankly, keeping up can be exhausting. It is for me at least. Other thought leaders may think I’m crazy for admitting it and prefer to convey a high level of constant attention, focus and enthusiasm. I on the other hand prefer to be authentic about it. I’m not an automaton and sometimes I want to completely disconnect from media outlets. Making good decisions by considering multiple perspectives, pros & cons, and intellectual and emotional input is awesome. But do you ever find yourself ruminating for what seems like an eternity? We always need to make choices, and very few are all good or all bad. 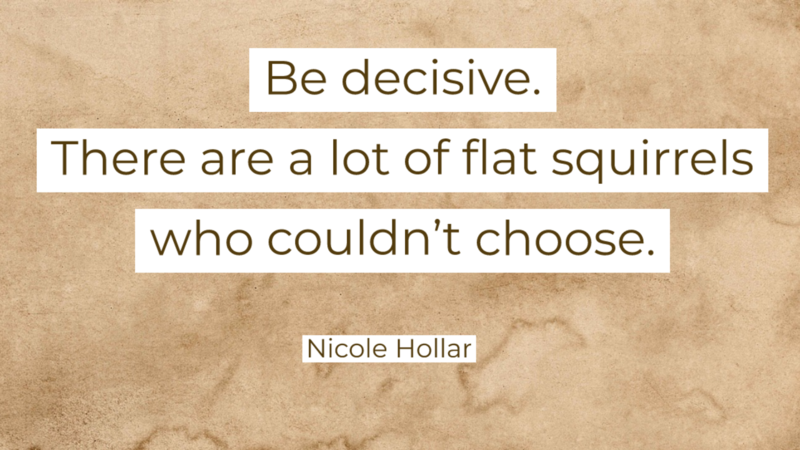 Hopefully you’ll see the lesson or pattern in whatever you choose, but you have to choose. You may not be where you want to be, but that doesn’t have to stop you from opening your mind and energy to it. It all starts with you. 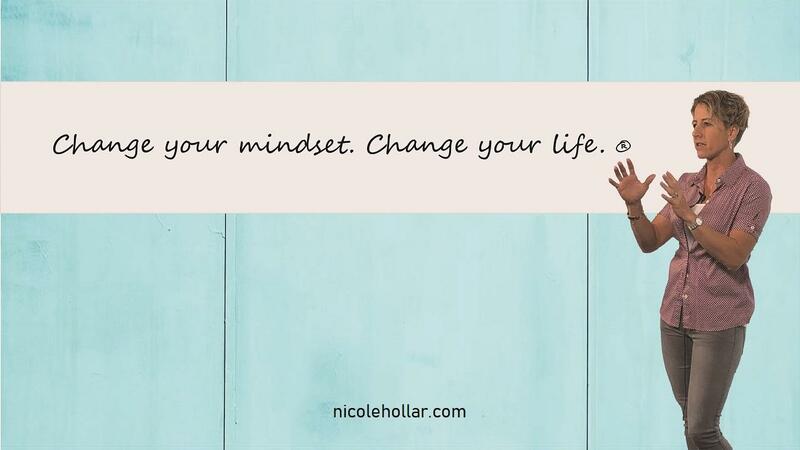 You have that power and potential! Do you like being around knowledgeable people? 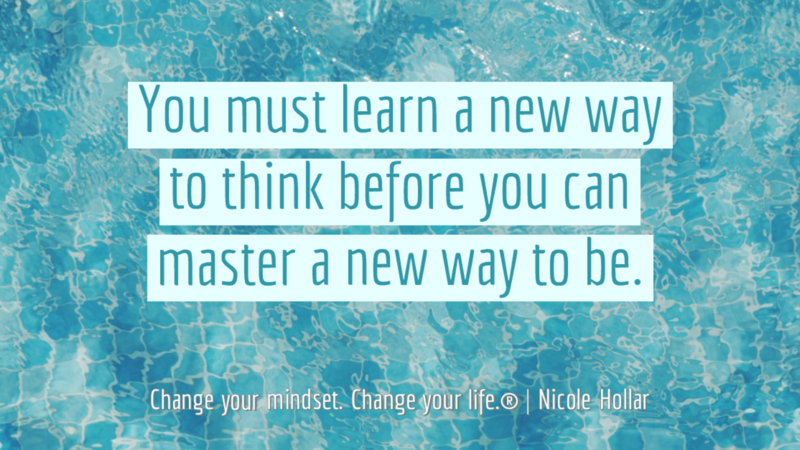 Be a lifelong learner. It doesn’t all come from schooling…read, ask questions, get your hands dirty, watch learning channels. Do you want your small business to become a big business? Act like a big business owner. 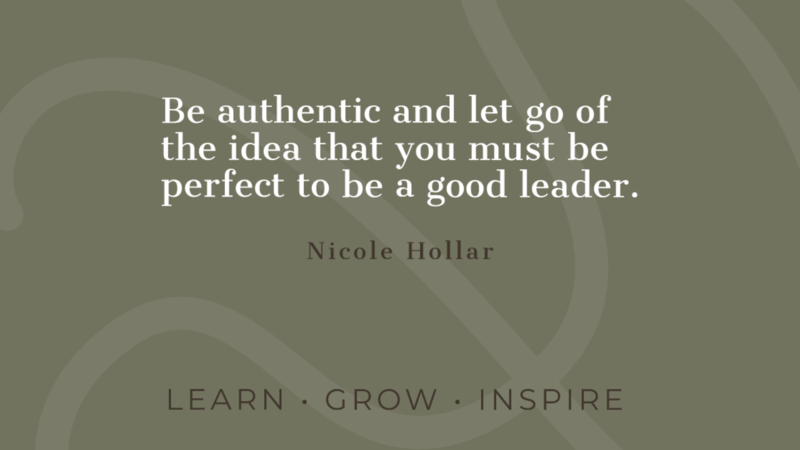 Schedule meetings for yourself, set goals, write out your vision, core values and principals. Create job descriptions and expectations for employees, etc. I recently re-heard an old fable that I really like and want to share it with you because I think it is such a valuable lesson that we can all be reminded of every now and again. For example, we hear time and time again during election cycles that a vote doesn't matter so why bother anyway. Or how it doesn't matter if you help with something because you are just a single person making a small contribution. 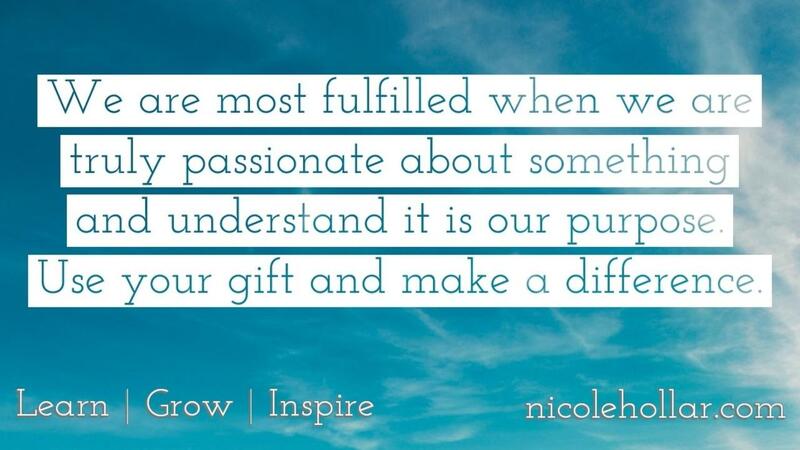 Everything we do either makes a direct impact or reminds someone that they can contribute in their own way. I ask you to look back in your life and think of the single moments that meant something to you, whether it be a kind word from a person, help you didn’t expect and so on. Remember, you can make those moments for other people, too. Without further delay here is the fable I want to share with you. I bet you've heard it. It's about a boy and starfish on the beach, and has been told in various versions throughout the years. 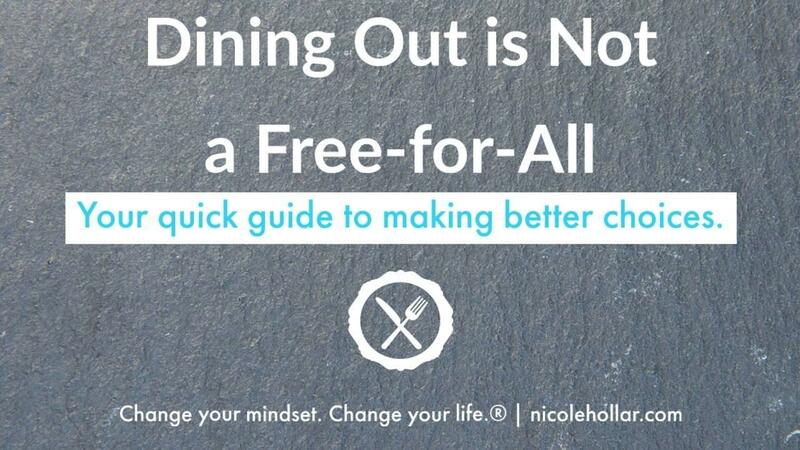 Too often people look at dining out and vacation eating as a free-for-all. But I’m here to tell you it is not adjacent to the life you live, it is part of it. If you are truly committed to living a healthier lifestyle, clean, lean, balanced food choices must extend outside of the home, too. 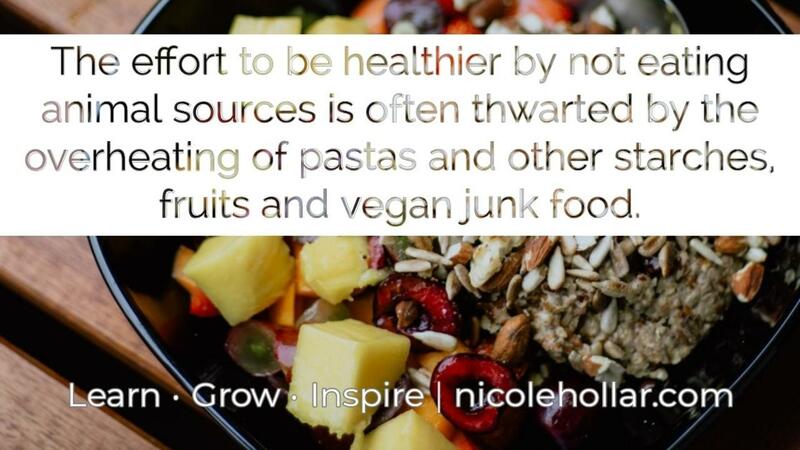 People have a hard enough time eating well at home without picking all night, mindless snacking in front of the television or cooking what is quickest in their minds, even if making a vegetable and protein only takes a few more minutes. As if eating at home isn’t challenging enough, dining out can be nearly impossible. The first line of defense against restaurant food is to simply not go. However, I’m a realist so I’ve decided to give you some tips on dining out. Say “no” to the basket of bread and chips while you await your meal. “To enable all young people, especially those who need us most, to reach their full potential as productive, caring, responsible citizens. Club programs and services promote and enhance the development of boys and girls by instilling a sense of competence, usefulness, belonging and influence." Forgiving and forgetting are two different things. Whether you did something or something happened to you, we can’t forget the experience because it is where the lesson lies. As you look back it should become another story that has woven itself into your life journey, but without reliving the emotional charge it once had. 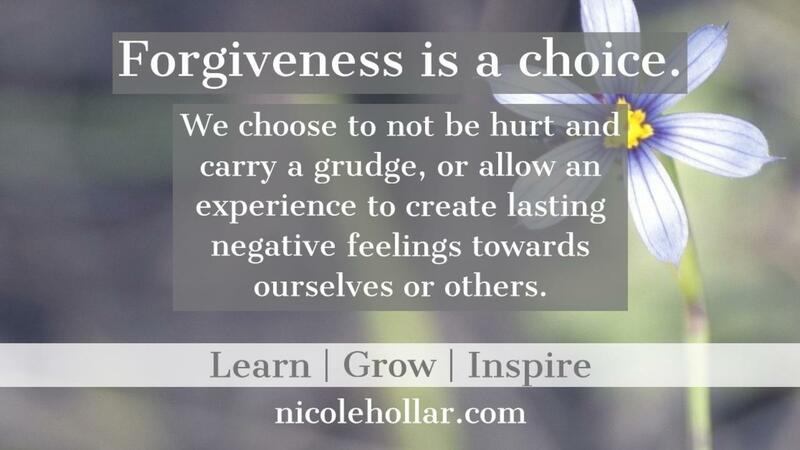 Forgiving, on the other hand, is a choice. We choose to not be hurt and carry a grudge, or allow the experience to create lasting negative feelings towards ourselves or others. Because relationships are a common example, on a personal note, I had breakup many years ago that was very difficult and not initiated by me. But what I realized and accepted was that it needed to happen and that it was my ego holding on. Sleep takes up about a third of our lives but too many people take it for granted. We push on, work a little longer, study a little more, and sometimes even find ourselves nodding off while trying to focus on a task. Rather than continuing to fight, it may be better if you stop and rest, resuming when you are fresh and clear-headed. This might be a brief nap or by getting the 7 – 9 hours of sleep nightly as recommended for adults by the National Sleep Foundation Scientific Advisory Council. 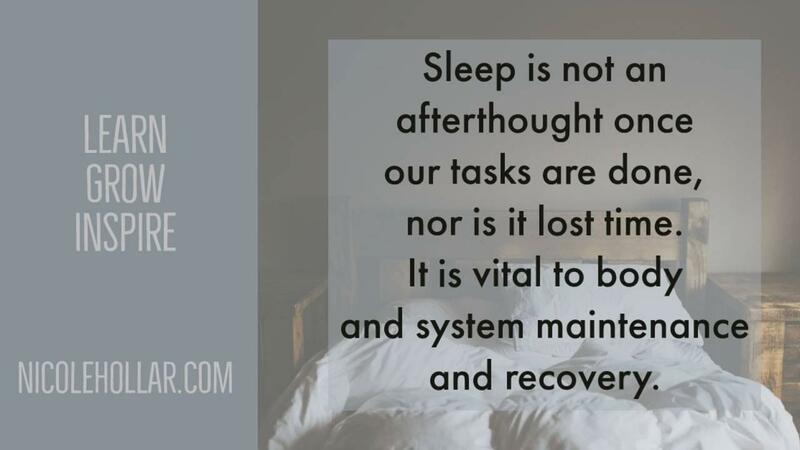 Sleep is not an afterthought once our tasks are done, nor is it lost time. It is vital to body and system maintenance and recovery. It is when our body grows, heals, is important to the cardio-respiratory system, and is required to keep the immune system at its high. 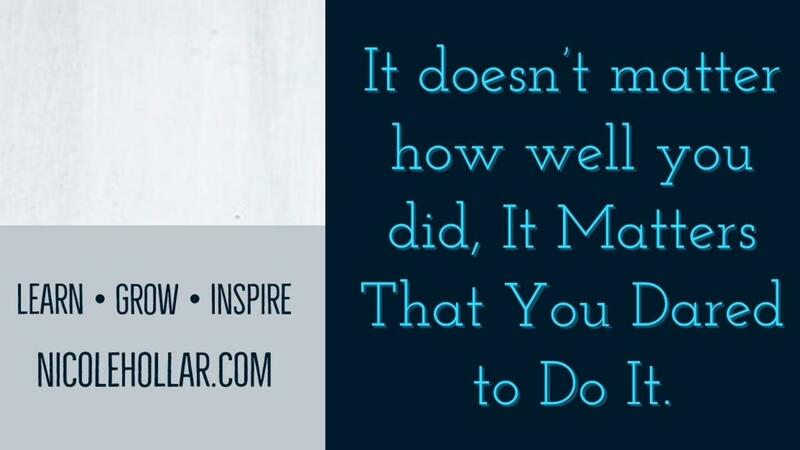 It Doesn’t Matter How Well You Did, It Matters That You Dared to Do it. I had the good fortune of participating in a running relay event with my clients this past weekend, all of whom are acquaintances to each other. We were a team of six running in relay form for about 60 miles, with no one running less than 7.4 miles total. As one person took off running the rest of us hopped in our van and moved onto the next exchange location. The van made occasional stops to cheer, stops for water, and at times just yelled encouragement out of the van windows as it zipped by. In all there were about 350 teams of people who departed at different times all doing the same thing. It was a great community of people cheering for their own team as well as others on the course. Do you or people you know claim to live a vegan lifestyle but don’t actually eat many vegetables? Are you leading an animal protein-free lifestyle because you believe it to be healthier yet eat a diet rich in grain, starch, sugar, and fat? — Leading causes of diabetes, obesity and their related effects. During my nearly two decades in fitness I have taught people to honor their truth: if you want something enough then put forth real effort; and if you are unwilling to put forth the effort to achieve something then honor that it’s just not that important. It’s okay either way. We get much further in life and feel more settled and relaxed with who we are when we are congruent in our intentions and actions.